1. Why a France Cybersecurity Label ? This label is governed by a tripartite structure consisting of users representatives, industrials representatives and relevant State services which defines the specification requirements as well as awarding and withdrawal principles (implementation of an awarding committee for example). 2. Which guaranties are provided by the France Cybersecurity Label to labelled products and services users? The France Cybersecurity Label is the guarantee for end users – mainly companies and administrations – that the certified products and services are made in France and possess clear and well-defined functionalities, with a level of quality established by an independent panel which bases its decisions on prior certifications, a third-party independent expert investigation and feedbacks from other end users. This guarantee is provided by the verification of the label’s specifications proper observance and the scrutiny of factual elements brought by the solution provider on the quality and performance of its products and services. This guarantee is particularly supported by, when they do exist, prior cybersecurity certifications, qualifications and labelling and by a relevant third-party evaluation. 3. To whom can the France Cybersecurity label be awarded? Consulting, Engineering and Services in cybersecurity. Products or services category’s specific criteria might be disclosed in the requirement specifications. 4. How to Get the Label France Cybersecurity? Each applicant company to the label use, for one or several of its offers, must notify its application and its adherence to the regulation of use of the label by sending a request to the secretariat of the France Cybersecurity label. The applicant’s file is then transferred – in a confidential and protected manner – to an independent third-party instructor mandated by the governance of the France Cybersecurity Label. During the instruction phase, the third-party instructor might, after acquainting himself with the whole file of the applicant company, contact the latter for inquiries that will stay within the scope of mission given to the instructor. Once the instruction is over, an appraisal report is submitted to the France Cybersecurity label awarding committee which adjudicates based on the expert’s recommendations and based on its own criteria. A formal answer (label awarded, denied or deferment of the file) is then issued by the label secretariat. In case of attribution, the applicant company becomes a label operator and possesses on it a right of usage defined below. 5. What is the duration of the procedure? The France Cybersecurity label structure commits itself so that the whole procedure, from the initial request of the applicant company to the notification of the final decision, must not exceed three months (90 days). 6. What is the cost of the procedure? The cost of the procedure, especially the part dedicated to the file instruction by an independent third-party, amounts to 1500€ for a SME or a micro-company and to 3000€ for large companies (following the INSEE’s benchmark). 7. Who are the contacts within the France Cybersecurity label? AOn an administrative level, the contacts are the persons in charge of the label secretariat. For all technical matters, prior to the instruction phase, the award committee representatives, consisting of industrials, users and State officials, will provide an answer to any request within one week. During the instruction phase, the contact of the applicant company will be the third-party instructor in charge of the file. 8. Can a open source product be labelled? The initial criteria of the label needing to be respected, the applicant product / service / consulting / managed service must have been developed in France. 9. What is the usage of the France Cybersecurity label? The usage of the label is reserved to companies disposing of a labeled offer, in accordance with the criteria stated in this regulation. According to the right of usage, the operator can use the label for a labeled offer on all institutional and promotional communication supports, and as well for its general terms and conditions of sale. 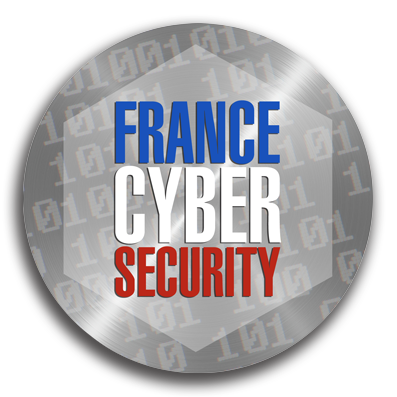 This logotype is available in digital format on the label website: http://www.francecybersecurity.fr the use of the logotype must respect the label graphic set of rules. 10. What is the period of validity of the France Cybersecurity Label? Specifically, each labeled offer is so for a period of two years. Once this deadline has expired, a new procedure must be launched from the start. The operator allowed to use the label for one of its offers commits to inform the France Cybersecurity Label structure prior to any modifications of the characteristics or of the general terms and conditions of sale of its offer, since this modification might affect the respect of this regulation. The collective right of usage of the label is strictly specific to the operator, holder of said label, and cannot be transferred to a third party (company, institution, federation). a modification of the operator offer conditions, if they imply the violation of the regulation of use.